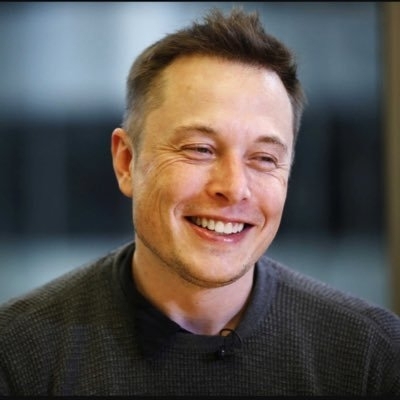 New Delhi July 14 (IANS) Tesla CEO Elon Musk who just completed a successful three-day visit to China has shown an interest in visiting India in early 2019 -- a time when the country would be busy preparing for its general elections. Tough government regulations have thwarted Musk in fulfilling his Tesla India plans. With this announcement he perhaps would like to chart out a concrete course for Tesla but the timing may not be right for him as Prime Minister Narendra Modi and his ministers will be out for election campaigning. Replying to a tweet from a user late on Friday Musk who is also SpaceX Founder said he is keen to be in India soon. "Probably early next year " Musk replied to the Pune-based user who asked when he planned to come to India. Modi visited Tesla headquarters at Palo Alto California in 2015 and met Musk who took him around the company s electric car plant. "Prime Minister Modi and I talked about electricity generation and how there are ways to skip ahead with it as with cellphones " Musk said later. Musk wants to roll out Tesla electric cars in India but the bureaucracy has forced him to apply the brakes on his plans till date. He wanted to bring Tesla to the country as early as the summer of 2017 but stringent local sourcing norms derailed his plans. "Would love to be in India. Some challenging government regulations unfortunately " Musk tweeted in May. "Deepak Ahuja our CFO is from India. Tesla will be there as soon as he believes we should " added Musk. Ahuja a seasoned auto industry finance executive with 15 years experience at Ford Motor Company joined Tesla Motors as Chief Financial Officer in 2010. In 2017 Musk said Tesla s cars could come to India in the summer but there was no further news. Musk later blamed the Foreign Direct Investment (FDI) norms for the delay in Tesla s entry into the Indian market. "Maybe I m misinformed but I was told that 30 per cent of parts must be locally sourced and the supply does not yet exist in India to support that " he had tweeted. Posting some clarifications for him the Make in India s Twitter handle replied back: "@elonmusk With respect to news reports on launch plans of Tesla in India being delayed please note some key clarifications#MakeInIndia". One of the clarification read: "Not correct. FDI policy of India does not mandate any such minimum sourcing of components by manufacturers". Tesla was expected to enter India with Model 3 that sells for nearly $35 000. Bullish on his Chinese dream Elon Musk on July 12 said he had excellent meetings with senior leaders and will aim to invest long-term in the country. He signed a preliminary agreement with the Shanghai government to build a Tesla gigafactory in China that is expected to produce 500 000 electric vehicles per year -- doubling the production capacity of Tesla. Musk had earlier said that China s progress in advanced infrastructure is "more than 100 times faster than the US."